Europe's number one for value, quality and choice. Championship parkland courses in the heart of Ireland set in old estate and lakeside settings. Championship standard ‘Heart of Ireland’ golf courses in Ireland’s midlands offer the best value, choice and quality of golf anywhere in Europe. With green fees set at about half the cost of those in the major urban areas you will find it difficult to get better value anywhere. Then there is the quality – old courses designed by golf’s founding fathers over 100 years ago James Braid for example, mix happily with some youngsters brought on stream by today’s architects such as Christy O’Connor Jnr. Kevin can arrange for you to be picked up by private bus at either Dublin or Knock airports and taken direct to Melview Lodge Guest House, we also offer the bus to take and pick you up again to all of your golf courses during your stay then drop you back to the doors of the airport. After you have decided which courses you wish to play and all your travel arrangements just contact Kevin and he will give you a price that will include transfers,accommodation and green fee's. That then leaves you to sit back relax and enjoy your stay, feel free to contact Kevin anytime. This is a superb 18 hole parkland course, bound on three sides by picturesque Lough Ree. With its modern Clubhouse and its tree lined fairways and undulating terrain makes it a true test of Golf. It has excellent bar and catering facilities, and a pro-shop. The setting is simply sublime, the welcome is warm and the course is one of the most interesting you are ever likely to play, and perhaps no golf course in the world offers the opportunity to roll up at the gates in quite so stylish a manner. Designed by Christy O'Connor Jnr. Glasson is one of Ireland's most beautiful courses. Weather comes into play on six holes most dramatically at par three 15th, a one 'shotter' with the sparking waters of Lough Ree from tee to Green. Forming part of the 300 acres estate, including 50 acres of lakes, the unique style of the Slieve Russell Golf Course is sensitively wrapped around the lakes and drumlins of the County Cavan landscape. As venue to the Smurfit Irish PGA Championship in 1996 and the European Tour's North West Ireland open in 2000/1, this Golf Course has already become one of Ireland's top golfing venues in Ireland. More than 10,000 years ago thee retreating glaciers of the ice age created the stunning landscape of plateaux, sweeping valleys, natural lakes and free draining soil on which Esker hills is built. Add the genius of Christy O' Connor Jnr and you have a golfing gem in a unique setting with 18 holes of challenging championship golf where no two holes are remotely alike. Noted for its distinct links feel, superb sand based greens and warm welcome, Esker Hills continues to receive rave reviews as the ultimate golfing test and one that you will certainly remember. Tullamore Golf Club is acknowledged as one of the best parkland championship courses in the country. 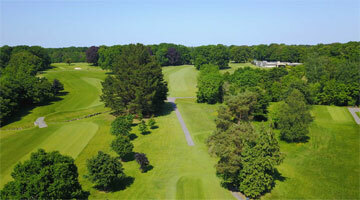 Set in a background of mature oak, beech and chestnut trees, it provides the idyllic setting for the game of golf. Designed originally by James Braid, the course has been re-designed by Paddy Merrigan to meet the highest standards of modern day golf course design. The course can be played and enjoyed by all ages and abilities. Delvin Castle Golf Club combines the stately setting of a castle demesne with one of the warmest welcomes in the Midlands. If your idea of golf is to relax, then this is the place for you. Steeped in history, the spacious layout makes full use of the mature parkland with spectacular views across North Westmeath. Enjoy the tranquil surroundings of the midlands while improving your golf on this magnificent course, a visit to the Irish midlands would not be complete without a round of good golf at Delvin Castle Golf Club. The purpose-built club house serves lunch and dinner menu with bar snacks available daily. Superb 18 hole championship course, traditional in style in a area of great historic interest. "Built by god, polished by man", playable all year round with panoramic views of the midlands Renowned for its natural links type greens and undulating fairways. A must for your future golf calendar. Buggies and trolleys are available for hire and there are on-site Catering facilities, farmhouse cuisine daily, wine licence, village pub 100 yards. Mullingar is a James Braid classic, Braids contribution was to stake the course routing in the mid thirties and the following year return to place bunkers where he found the most divot marks. Yet he considered the results at Mullingar part of his best work, that was in 1937 and still the par 3 second is reckoned to be one of the best in the country. The clubs location at Belvedere is its third home, the clubs foundation dates back to 1894, it hosted the Irish professional championship in 1952,1959 and 1965 and the Irish matchplay championship in 1970. The Mullingar Scratch Cup, one of the Country's major amateur competitions is staged during August each year. Winners of the Mullingar Scratch Cup include Ryder Cup players Clarke, Harrington, Smyth, O'Leary, Townsend, Rafferty, McGinley and Walton. County Longford Golf Club has been in existence for over 100 years, designed by Eddie Hackett it does not hold pretensions to Championship challenge. It is a pleasant parkland test running to just over 6000 yards with a par of 70, and there are two par 5's and both come into play on the back nine. 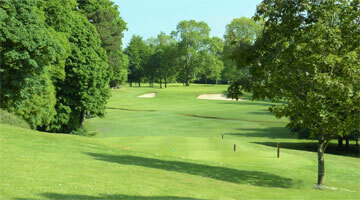 It is an exceptionally dry course and is playable all year round and is located close to, and overlooks Longford Town. There are full bar and catering facilities available, and you are guaranteed a warm welcome. Supporting this fine choice of courses is Melview Lodge, this superb accommodation wil suit your every taste and budget. This guesthouse is of a high standard which is expected these days, and together with the superb courses they combine to offer excellent and affordable packages. Welcome to the heart of Ireland where a golfing paradise awaits.